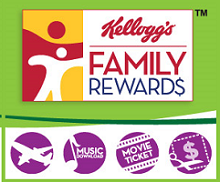 mommy's reviews: NEW Kelloggs Family Rewards Codes! Wow! Thanks! I got them all! I just discovered your blog a few days ago and found these codes. I was able to use them all. Thanks!